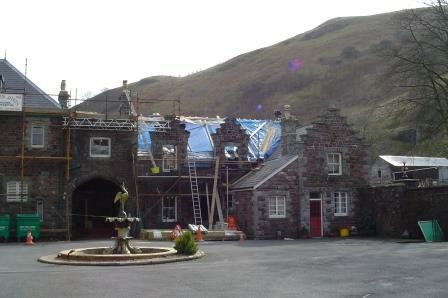 Since we purchased the castle on 27/10/2000 we have spent well over £3m on repairs and improvements. There is still much to do as the top two floors are derelict, and various projects remain in a half-completed state, such as the Blue Bar. There are some areas crying out for an overhaul, such as the main loos beside the theatre and the upper terraces and upper paths at the rear of the castle. While discussions have taken place with every government body imaginable regarding grants, none have been forthcoming for the castle. A couple of grant consultants collected a fat fee off us, gushing promising sounds, and departed, never to be seen again. 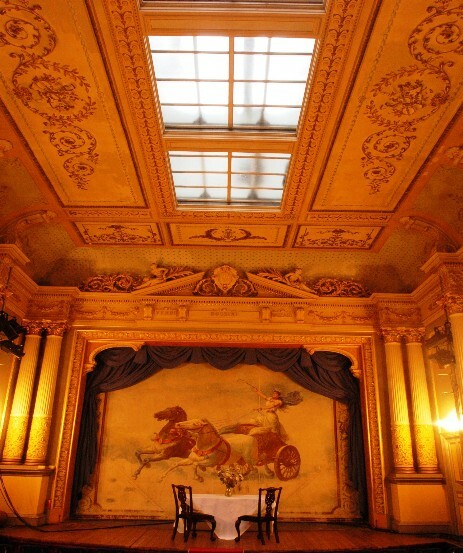 We did have some funding for an 'options appraisal' on the theatre which concluded we should sell out to an opera company! Having learnt our lesson, we no longer waste time with grant bodies and just get on with it ourselves. In 2018 several months over the Summer were spent replacing the Lantern Roof over the Theatre Auditorium, which had become rotten and unstable. There was a risk the glass panes would start falling on to the audience. Our in-house Carpenter Anthony carefully fashioned bespoke replacement wood frames for the glass panes. Many of the Lantern roofs the Castle would have had have been removed by previous owners due to the problems with maintaining them. 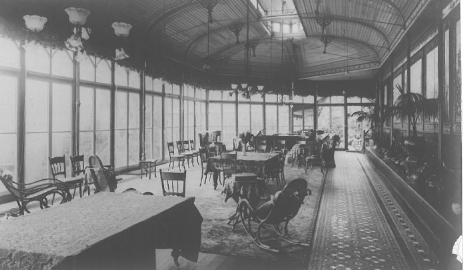 The Conservatory once had a lantern roof but this was removed in the Hospital era. The Lantern roof over the porch / main entrance to the castle has leaked in heavy rain for years. In late 2018 we have rebuilt that too, based on our success with the Theatre Lantern, but we are still getting some leaks from the gulley. So we progress slowly. Originally the London cleaning agency supplied £300k a year of funds but over the years that business declined and was replaced by Castle Functions. 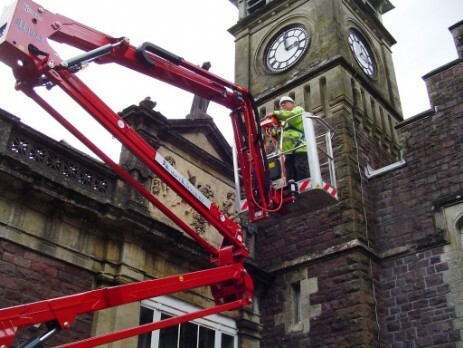 Castle income is not enough to fund the repairs on the scale the cleaning agency used to. In quiet periods, work is scaled down, while in good economic periods, more can be achieved. However routine maintenance is increasingly taking more time, preventing major projects from being started. 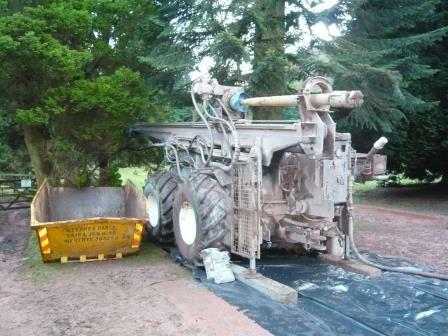 We budget around £200k a year for the maintenance department. The more events we hold, the more we can work on the property. 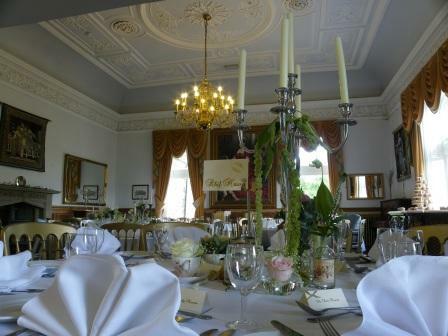 Weddings have now been increased to around 110 a year, due to the success of our Wedding Packages and Offers. We now have an excellent Wedding and Front of House team supported by effective on-line marketing. 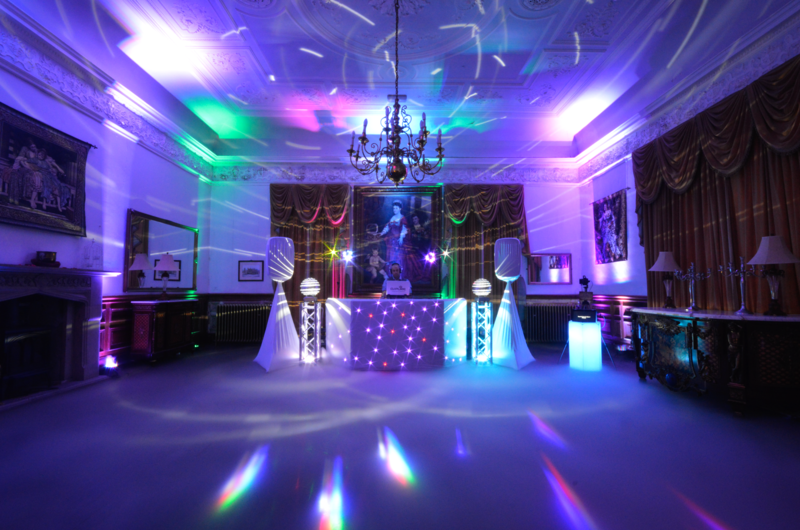 Up to 2008 we grew castle events income steadily, with expanding B&B and wedding bookings. In 2008 we peaked at 83 weddings, and the rate of growth seemed steady up to then. We had up to then enjoyed a good income from a London Domestic Cleaning agency which contributed much of the £300k a year spent on capital works at the castle. Wales property values reached their peak in 2007. Everything was bouyant economically. However there was a sustained drop in cleaning agency income from 2006/7 onwards. Then in 2008 we had 'the banking crisis'. By 2017 the cleaning agency was a fraction of its former size - maybe £20k turnover a year compared with £1.1 million turnover and £300k annual profits in its heyday. This meant the castle now had to fund its own development. 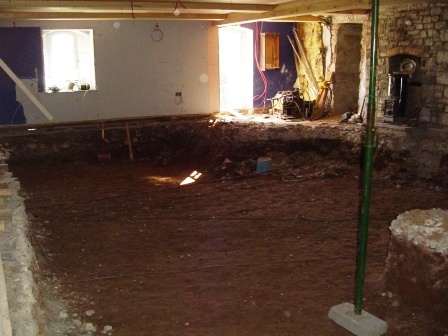 The banking crisis in 2008 affected castle wedding and B&B bookings from 2009 and a substantial drop in income meant we reduced the pace of our renovation work. The banking crisis did not affect us immediately. Weddings dropped in 2009, then we had another good year in 2010 (83 weddings), funding more redecorating in Spring 2011. Due to forward bookings of weddings a year or more ahead, the effect of the 2008 recession was not fully felt until 2011. In 2011 we dropped to 51 weddings. Property prices crashed and the wealth effect went with it. We had the castle up for sale briefly, but took it off the market when we saw how much property values had dropped in Wales. 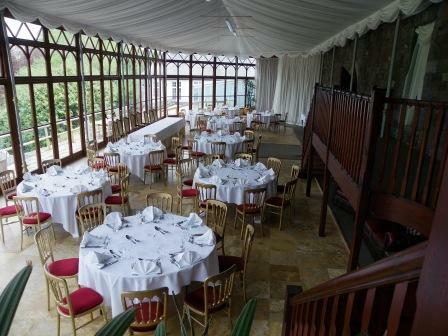 The Bank called in its overdraft and our turnover on the castle functions business halved. 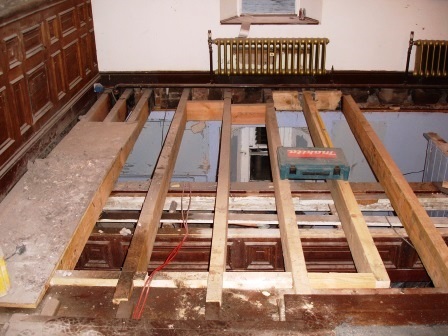 We were in the middle of the restoration of a house in London, which we had to finish in order to get it tenanted. The main contractor disappeared without paying his sub-contractors. We had paid him in stage payments, as each phase of the work was done. 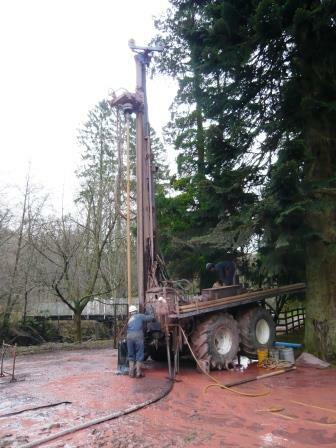 However the subcontractors subsequently 'undid' a lot of their work, as they had not been paid. All the windows and doors we had seen installed (and so paid the builder for) were ripped out! We had to pay the subcontractors direct (meaning we paid twice) to get the work completed. The main contractor then tried to murder his wife by driving a car through their living room while she was in the house. This made the National News. He went to prison - so suing him was not an option. We still vaguely have our farmhouse up for sale, if I get the right offer - see Craig y Nos Farmhouse. I had intended to buy a small house in Sussex (where children were due to go to school) but the boys are now going to Dorset and we rented instead. The farm remains for sale but it has a good holiday lettings income so I'm not in any hurry. 2011/12 was devoted to paying off the overdraft, cutting our cloth to match our means and scaling down. Staffing levels were halved. It was an interesting time. Fortunately in 2012 we achieved a surge in wedding sales (up to 78 for 2013) with the launch of a new Weddings Website. Weddings in 2013 returned to previous peak levels thanks to a 'Special Offer Wedding Package' which gave the bride and groom free use of the venue if they filled all our en-suites with guests attending the wedding. 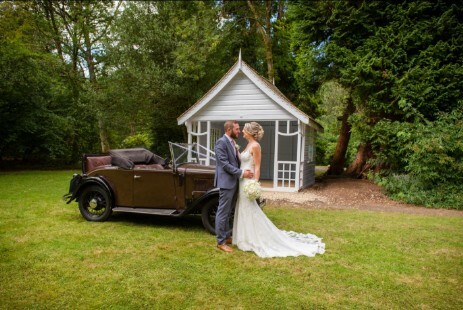 The low cost deal for brides boosted weddings and we now have very full weekends and good summer seasons. We crept up to 88 weddings a year. We aimed for 100 a year from 2018/19. Instead we moved closer to 110 a year thanks to a new Winter Wedding Package. B&B bookings are quiet in the off-season. It is uneconomic to service low volume Dinner and B&B guests in the winter. Sometimes it is better to close in January and February, or offer continental breakfasts and no evening meals. By 2011, we resumed full breakfasts and evening meals in the summer only, while semi-closing during winter months to offer B&B only. We now remain open all year but in very quiet periods we will offer a B&B only service. 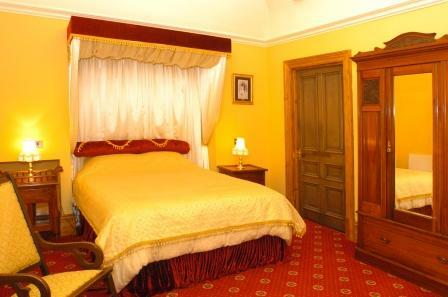 We still offer B&B Breaks during these months. 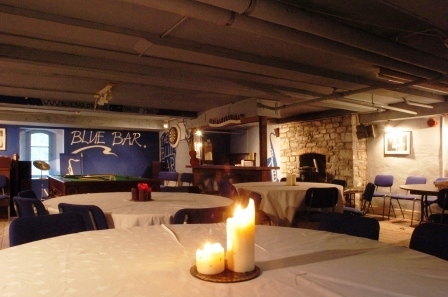 With three good local pubs to choose from for evening meals, and low cost deals on accommodation for stays of 2-3 days or more, guests are happy to stay at the castle and dine out when our restaurant is closed. We also offer self-catering options. During the recession we cut down from 7-8 building and maintenance staff and a number of sub-contracted projects on the go at any one time, to employing only occasional sub-contractors, one maintenance man, and two builders (while for two years much of the gardening was done by the owner who became a hobby/gardener). Good staff savings and some very hard work by the remaining tight-knit team enabled us to move into profit in 2010/11, while the wedding business is growing steadily. For several years we would have one or two good years followed by one quieter year. Yet when I mentioned to another hotelier we were 'only' doing 80 weddings, he was envious! We reached the 100 target, but up went expenses, wages, everything else, so we barely broke even. Like many small businesses it feels as if we are chasing our tail round and round trying to extract enough to keep on developing/ refurbishing the building. VAT was once 15% but is now 20% (a real killer - VAT) and then we have the National Living Wage - NLW. Up goes payroll by £200k in two years, partly due to more staffing but also due to an 8% increase in wages in one year alone due to NLW) and in 2017 and 2018 we have another increase in NLW and now, pensions! One expense I would have preferred to avoid was a legal action over an incomplete installation of a guest bedrooms phone system, which we should have won. We lost the case even though, as guests will observe, many rooms still do not have phones! We presented our evidence badly, even though, technically, our argument that the phones are not physically in all the rooms, cannot be disputed. Cost: about £120,000. Some rooms DO have phones today - at a cost of about £3,000 a phone (do not expect to see the phone system updated in my lifetime)! We lost a court case on a bespoke staircase which did not fit properly, on the basis we should have told the staircase company their plans were not acceptable when we first saw them. We did tell them verbally it would not work, but we figured it was their problem to remedy its flaws. So they fitted it anyway and as we'd foreseen, it did not fit. We went to court, and the Judge asks (not unreasonably), "Why did you let them fit it - you didn't have to let them on the premises". There is clearly a lot more work that needs to be done at the castle and had the economy continued bubbling away, we would have continued at a reasonable speed. Though we are now going along in what to us feels slow motion compared to pre-recession, guests who only re-visit every two or three years, or even once a decade, commonly remark on 'all the changes' since they were last here. In 2014 I met one couple I recognised who said they'd been here before and how much had changed. I asked, 'how long was it since you were last here'? They replied, '2004'. Well, for anyone visiting after a decade, yes, they would see a huge amount of development. 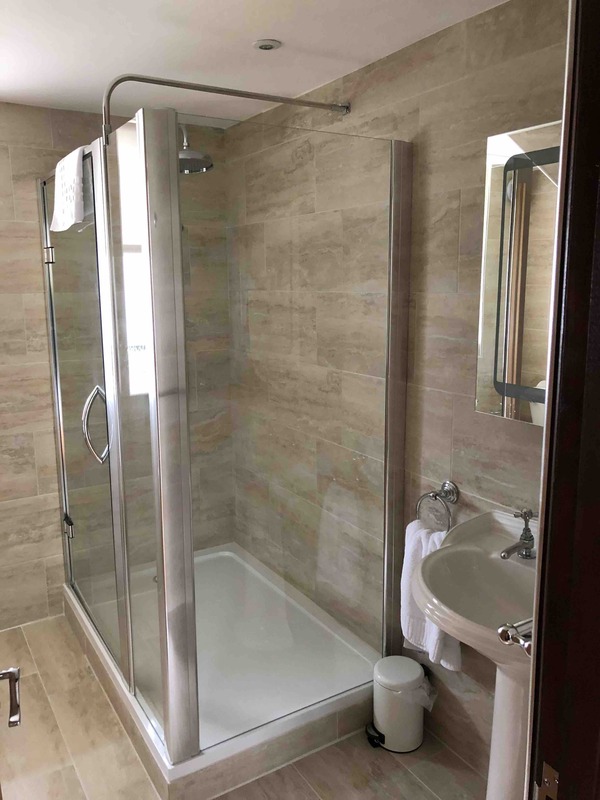 We still add an en-suite or two or re-furbish one or two small rooms a year, in addition to routine maintenance, including staff accommodation which guests have not seen. Some maintenance issues such as painting of walls and skirtings, or patching up the odd leak, can remain outstanding for months / years (and the resultant damp patches and peeling paint may be commented on by several guests) before we can schedule in the relevant works. In 2013 we had a firm of painters in to paint ALL the windows. They were fast and good value (albeit not as 'perfectionist' as we would prefer) but despite their prodigious work ethic and speed, it's rather like the Forth Bridge: two men were painting all summer and they only did half of it. 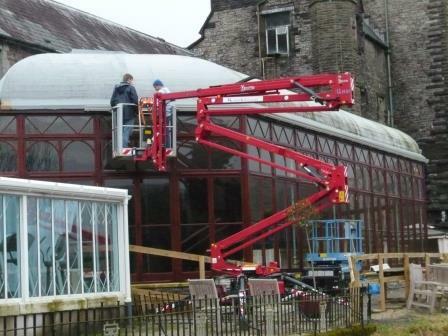 Our chairlift meant they moved quickly from window to window but now the whole place needs re-painting again. We planned to employ one person who in the summer would only paint windows but inevitably he got pulled onto other tasks. Evidence of unfinished projects can be found if you look closely: an incomplete 'blue bar' can be observed if you peer through a back door's dusty windows. 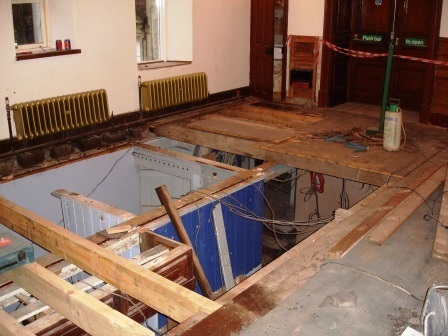 It was nearly finished but then we decided to 'drop' the floor level. That was in 2004. The old loos by the theatre should have been upgraded in 2004. In 2007 the paving slabs outside the spa area got moved to provide the terracing for the Conservatory. 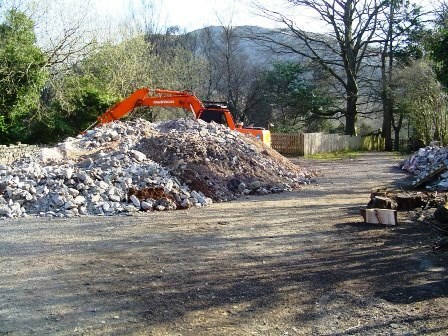 So, ten years on, we still need to get replacement slabs down outside the sports room, and the rear of the castle still has unfinished terraces and walls. I chase this up regularly, but there is always something else more urgent. Quite a few gutters and gullies need replacing, but a great many have been. Loads of repointing needs doing - everywhere. A persistent leak in the Music Room since 2008 was fixed in 2017 - with a new roof on the Music room. The conservatory roof, first repaired in 2007 and leaking ever since, was re-covered in 2017 in a firestone rubber product guaranteed for 20 years. 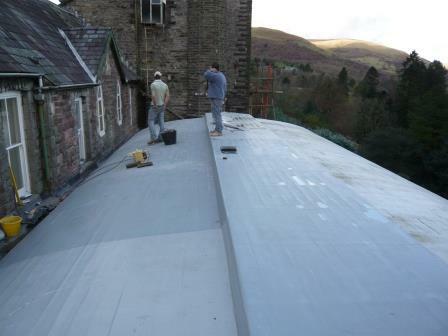 For ten years we had been recoating it every year to stop it leaking as the original felt roof kept failing as the wooden boards underneath swelled and contracted in different temperatures. 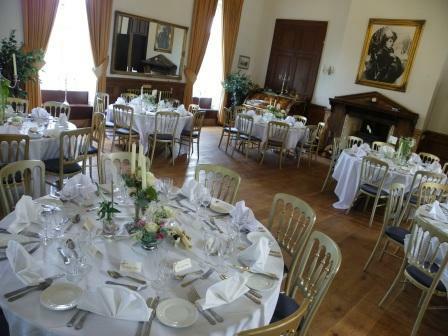 The music and function room room, last redecorated when Camilla and Charles got married, in the pale blue colours of her dress at the wedding, was repainted during a rainy February and March 2017 (internal redecoration is done in the winter). We have in 2018 finished an en-suite apartment Room 13 (formerly the mortuary so could be a bit spooky) which wee started two years earlier. 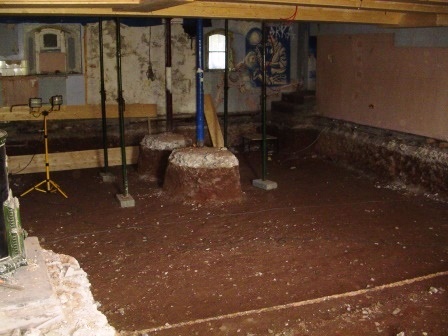 Room 17 has got shelved in favour of more roof work and upgrading a few existing rooms which have become tired. A grand front entrance, having been widened ready for a new gate and internal wall, still awaits a start date. Doubt that will happen this decade. We always know some new emergency will come up, a new leak somewhere, that will take up resources and so delay many of our very long wish-list of tasks to do. 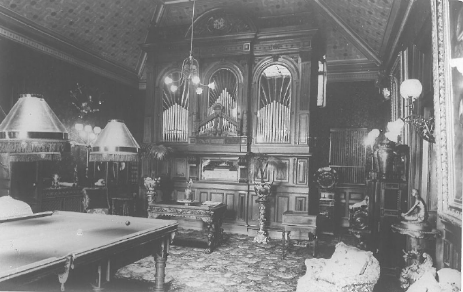 Ideally we need about 120 weddings a year to properly fund our refurbishment ambitions. Every penny the castle does generate, goes back into the building. But a lot disappears in VAT, PAYE and NI tax, wages, and repairs and general running costs, before you can crack on and build new rooms. 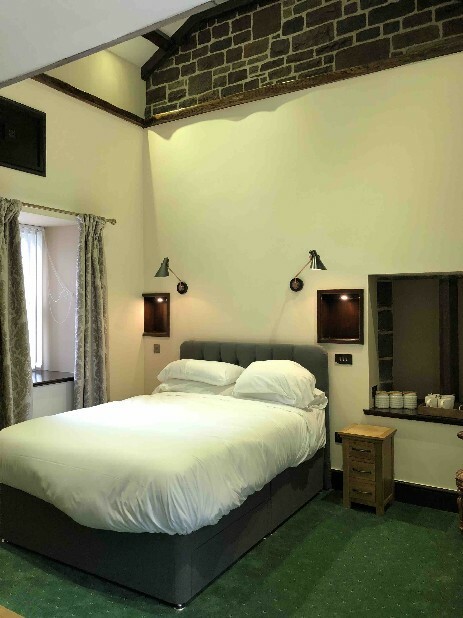 We now have 25 en-suites in what were once derelict leaking areas of the castle, and 10 budget rooms, plus a redecorated function room and lounges, and a restored conservatory. 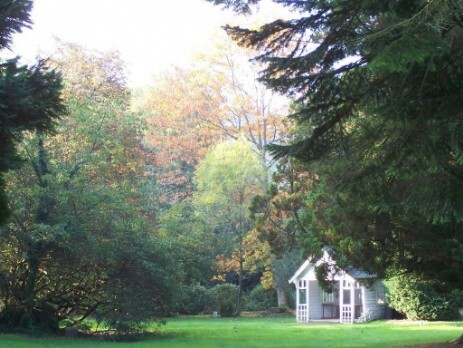 Even the old summer house in the lower garden has been restored, thanks to a Volunteer from the Country Park next door. Meanwhile like everyone else I am buying my £1 lottery ticket weekly - and imagining how I'd spend the winnings on finishing the project here!